THE GOLEM OF BROOKLYN was formed and brought to life on a late spring evening in the Year of our Lord 2007. The Golem was created in the basement of a Famous American Writer, in Park Slope. The Famous American Writer had recently published a novel to great acclaim, and had even more recently published a second novel, which also garnered mostly positive reviews. Together with his wife—a Slightly Less Famous American Writer—the Famous American Writer had purchased a townhouse in Brooklyn. This is where the Golem was created. The Golem of Brooklyn was brought to life through fire, and not through clay. The Famous American Writer—on hiatus from writing due to the terror of publishing (of writing, even) a third Great American Novel, had decided to spend the bulk of his time in the Brooklyn Public Library, where, under the guise of working on the third Great American Novel, the Famous American Writer studied mimeographs of ancient tomes dedicated to the formation of the Golem. According to records established in the seventeenth century, the Golem of Prague—created in the attic of the Old-New Synagogue by a Frightened, Illustrious Rabbi to protect the Ancient, Threatened Jewish Populace—had been made of nothing but clay and water. The Frightened, Illustrious Rabbi had brought the clay (really little more than dirty sand) and the water together, forming a crude semblance of a human (learned as he was, the Frightened, Illustrious Rabbi was no Picasso). For reasons that have been debated for centuries but are, as any honest historian will tell you, ultimately unknown, the Frightened, Illustrious Rabbi gave the Golem of Prague a devious, upturned smile. Then, writing the aleph, the mem, and the taph on His forehead, the Frightened, Illustrious Rabbi woke the Golem of Prague from his eternal slumber. The life of the Golem of Brooklyn did not quite work out this way. (Neither did the Golem of Brooklyn’s destruction mirror the ultimate undoing of the Golem of Prague, but we will get to that later.) The Famous American Writer tried the mud and the water, but he just ended up creating a mess in his Park Slope basement, which was slated to be the bedroom for the Future Child of the Famous American Writer and his Slightly Less Famous wife. This made the Slightly Less Famous American Writer mad, as she was already almost three months pregnant at the time (although she was not yet showing, the Famous American Literati did not yet know). So, the Famous American Writer decided to do something completely different. Following a manuscript he had found in the Research Section of the Main Branch of the New York Public Library (he had trekked all the way into Manhattan for this; it was that important) the Famous American Writer found a translated essay, said to be from the Cairo Geniza, which spoke of a Golem of Alexandria. This Golem, like the ancient phoenix, arose through the flash of a blessed, miraculous fire. This gave the Famous American Writer an idea. He called up his friend, a Famous Russian-American Writer, and his friend was intrigued. The next day, they met, on the steps of the Main Branch of the New York Public Library. The Famous American Writer brought the Famous Russian-American Writer into the research room, showed him the text he had found. The Famous Russian-American Writer agreed it was worth a try. The next night, the Famous American Writer and the Famous Russian-American Writer met in the basement of the Famous American Writer’s Park Slope Townhouse. They had brought the sticks and the flame to make the fire. They had brought the dirt that was necessary, according to the essay they had read, to form the substance of their Golem. They had been boning up on their Hebrew, and were ready to recite the blessing. This was to be the final time the Famous American Writer tried to create his Golem. But that is simply because this, second time, was successful. Like many things in the Famous American Writer’s life, the creation of the Golem of Brooklyn came easy. The Famous American Writer and the Famous Russian-American Writer placed the dirt on the floor in the rough approximation of a man. They placed the sticks on the dirt. They used a Bic lighter to light the sticks. Then, the Famous American Writer and the Famous Russian-American Writer chanted the blessing, together. What happened next was quite anti-climactic. 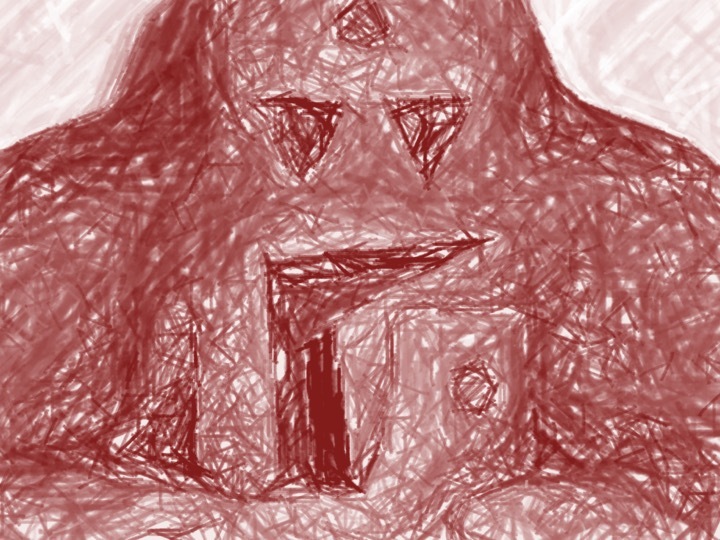 The Golem coughed. It sneezed, a flame the size of a thin snake twirled up from its nose. It sat up. The letters of the Famous American Writer’s initials were tattooed to its chest, a living flame. “I’m awake,” it said. The Golem of Brooklyn lived. The next few months were easy, for the Famous American Writer. Or, to be honest, they were easier than the months before (which had also been pretty easy) had been. The Famous American Writer watched while the Golem went outside to search for mischief on the streets of Park Slope. Although the Golem of Brooklyn would have been the first to tell you that he was the Golem of Brooklyn, and not just of Park Slope, he preferred to stay within a few blocks of the Park Slope Townhouse where he was first created. The Golem of Brooklyn claimed that this was because he felt tied to the spot of his formation, but the Famous American Writer’s wife thought the true reason the Golem of Brooklyn stayed so close to home was because he was a little racist. The wife of the Famous American Writer and the Golem of Brooklyn did not get along. The Golem of Brooklyn would roam the streets of Park Slope, searching for mischief. He felt at home in the candy stores and bookshops of Seventh Avenue. If the Famous American Writer was ever looking for the Golem of Brooklyn, if he ever needed him to run an errand, to write a novel (more on that later), to feed the baby (who had, by now, been born), the Famous American Writer knew where he could, more likely than not, be found. Sitting on a stool outside the liquor store, reminiscing about old times with the Russian lady from down the block. There, the Golem of Brooklyn felt happier than he had ever felt, in the few hours of his existence before coming across the Old Russian Lady. Together, the two of them, the Old Russian Lady and the Golem of Brooklyn, would reminisce about the Old Country, about the lives they knew they could have led, if they had lived in another place, another time. Over dinner, one night, the Famous American Writer asked the Golem of Brooklyn what he and the Old Russian Lady spoke about all day. It was around this time that the Slightly Less Famous American Writer left the table, to tend to the baby, which was, at this time, only a few months old. The Golem of Brooklyn made a face at the Famous American Writer. The Famous American Writer—careful that his wife didn’t catch him—cautiously nodded. “That sounds pleasant,” the Famous American Writer said. The Famous American Writer had a secret. It was a secret that nobody knew, except, perhaps the Golem of Brooklyn. That secret was this: The Famous American Writer knew nothing of the Old Country. He hid that lack of knowledge in a cute Magical Realism, which made his books so Popular and Easy to Digest. The Golem of Brooklyn, savior of the Jewish Soul, saw through this, though. “About…” the Famous American Writer began, afraid to finish, for fear he would lose the Great Gift he was about to be given. The next year, the Famous American Writer came out with his New Novel, which promised (according to the reviews in the New York Times and Other Prestigious Publications) to be both Popular and Easy to Digest. In other words, A Modern Masterpiece. The New Novel was about life in the Old Country. It was told from the perspective of a field mouse, who represented, the Famous American Writer said, in the many talks he gave to Packed, Enthralled Audiences and on National Television Shows, the Ancient Jewish People, the Ancient Jewish Soul. In truth, the Famous American Writer had no clue what the field mouse represented. He thought it was maybe his best book yet, though. He even wrote the final chapter himself. That had been a fight. The Golem of Brooklyn had taken to writing. He had stopped conversing with the Old Russian Lady. He had stopped roaming the streets of Park Slope. In fact, he had stopped roaming anywhere at all. Instead, he sat, in the Attic of the Park Slope Townhouse, and poured out his Ancient Jewish Soul. He wrote of love; he wrote of loss; he wrote of the Ancient Past That No One Truly Remembers. It made him weep. Pale, dusty tears. When the Famous American Writer finally got up the courage to ask the Golem of Brooklyn for the manuscript, the Golem of Brooklyn refused to part with his words. Finally, after much cajoling from the Famous American Writer, the Golem of Brooklyn agreed to let his Creator see the dusty pages. The Famous American Writer, when he finished the manuscript, could not believe his luck. Just when he had run out of ideas for the Next Novel, the Next Novel literally fell into his lap. The Famous American Writer fumed. He was the Greatest Writer in the House; he was the Greatest Writer in Park Slope; hell, he was the Greatest Writer in all of Brooklyn. And now, he was being upstaged by his own creation? The Famous American Writer took the manuscript with him to the Brooklyn Public Library. In order to make it his own, he added a chapter, to the end of the New Novel, in which the field mouse, who had been left alone in a pasture to die, his family ransacked by the poverty and malnourishment of the Pale of Settlement, is Rescued by a Beautiful Woman, whose Great-Granddaughter becomes a Somewhat Famous Mouse-American Writer, who, the reader discovers, was narrating her Great-Grandfather’s story. This is not the way the Golem of Brooklyn wanted the story to end. The Golem of Brooklyn realized Enough Was Enough. “I will leave,” the Golem of Brooklyn said. He took his muddy finger to his forehead, and crossed out the initials of the Famous American Writer. Before the Famous American Writer knew it, the Golem of Brooklyn was nothing more than a pile of sticky smelling muck on the ground. The Famous American Writer didn’t even have to do the job himself. The Famous American Writer sold the New Novel to a Major American Publisher for a Nice Seven Figure Deal. The Movie Rights are Currently Being Optioned. Bezalel Stern has been published in McSweeney’s, The Literary Review, MonkeyBicycle, Another Chicago Magazine, Wigleaf, SmokeLong Quarterly, Contrary Magazine, Revolution House, kill author, and other places. In 2014, he was an Emerging Writer Fellow at the Center for Fiction in New York. He lives in Washington, D.C.